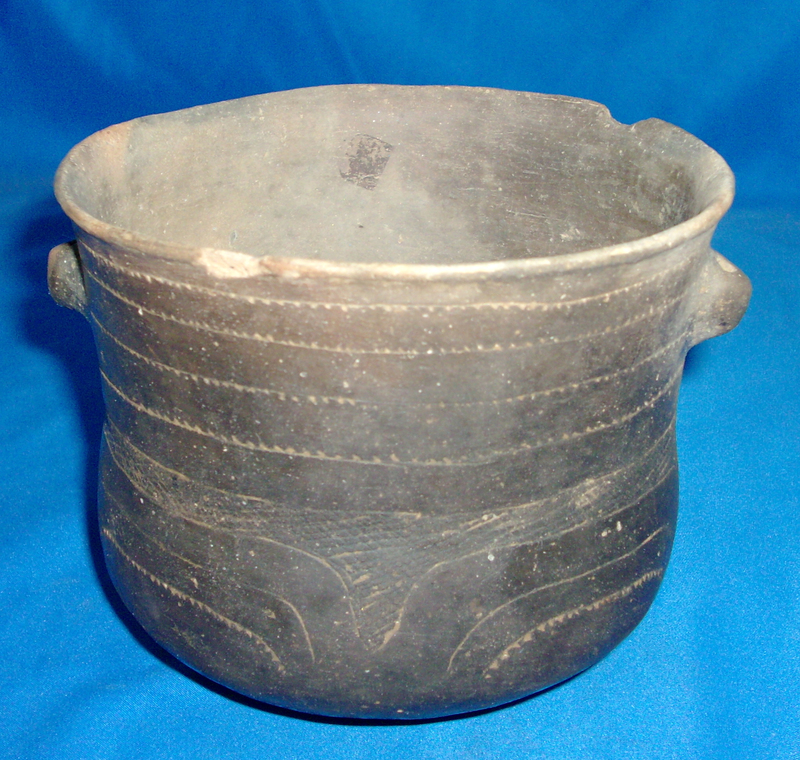 A Large Size, Exceptionally Well Made, Caddo Friendship Engraved Hanging Nodes Jar That Exhibits Clay Coloration Aging And Surface Sheen Patination, Aged Soil Deposits In The Engraved Lines, Visible Open Pit Aged Firemarking, Correct Type Of Engraving, Aged Surface Shell Grog Deterioration,Heavy Visible Bottom Aged Use Wear,Correct Material & Manufacture For The Area Found. Found By Hoy & Wilton Furr On The Sam Hedges Site, South Of The Old Gum Tree, January 10, 1982! Includes A Ken Partain Certificate Of Authenticity!